​St. Mary’s would like to thank all of our wonderful parishioners who donated food, drinks, desserts and other donations for the funeral reception held here at our parish hall for Father Robert Becker. Also a thank you to those of you who came out to the church to bid a farewell as the funeral procession drove by the church on the way to St. Mary’s cemetery. Thanks to James Starks for ringing the church bells as the procession drove by. The Becker family was very touched by this loving tribute/farewell to Fr. Becker. Team Captain- Stella Limas…Members: Diane Delgado, Janie Perales, Belen Sifuentes, Mary Ramirez, Ana Rector, Rachel Martinez, Margie Garcia, Sherry Nitz, Janie DeLeon, Raymond DeLeon, Paula Aguilar, Luis Aguilar, Diane Voight, Terri & Jim Henderson, Frances Rodriguez, Bernie Rangel, Atanacio Alonzo, Sister Janice Cooke and Ernestine Tapia-Capello. 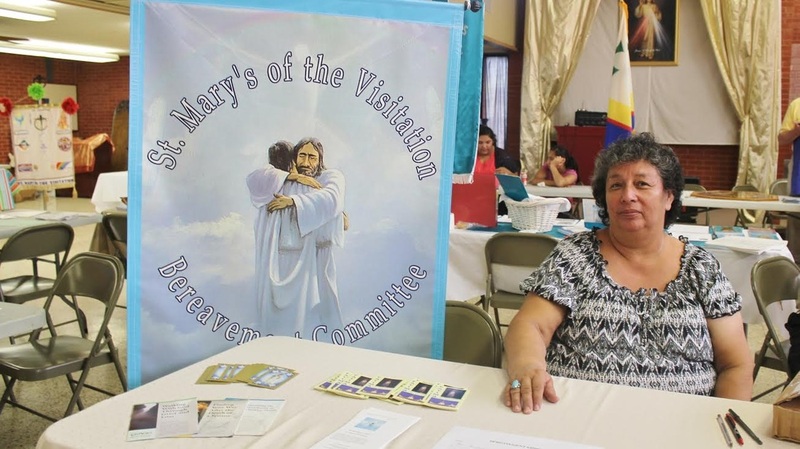 ​The Bereavement Ministry is always in need of more volunteers, especially those who can help during the funerals and men whom can help these ladies with the heavier tasks. Some of their members who cannot physically be at the funeral receptions volunteer by baking desserts when a family needs it, due to financial restraints. Their goal is to hopefully be able to have enough volunteers to make up teams so that not all members are called to help for each funeral. These small amount of members all do such a great service for our brothers and sisters in probably one of the most trying time in one’s life. They sometimes minister at 2 to 3 funerals a week some small, some large. If you would like to volunteer or need more information about this wonderful, rewarding ministry please call the office or you are welcomed to attend their meeting, Mon., Feb. 5th at 7PM in RE Bldg. Bereavement Ministry Meeting has been changed from June 5th to June 7th, 2017 dinner at 6 PM at Sirloin Stockade Restaurant meeting following dinner.